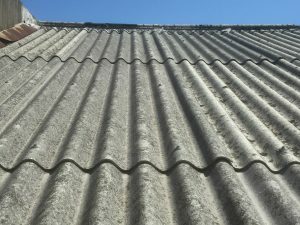 Do you require an asbestos survey report (or Asbestos Audit) in Sydney and Canberra? We provide asbestos identification surveys and asbestos audit reports by qualified occupational hygienists and licensed asbestos assessors. A management asbestos survey is the standard survey required during the normal occupation and use of a building that is likely to contain asbestos to ensure identification and ongoing in-situ management of the asbestos containing materials (ACMs). The purpose of the management asbestos survey is to locate, as far as reasonably practicable, the presence and extent of any suspect ACMs in the building which could be damaged or disturbed during normal occupancy, including foreseeable maintenance and installation, and to assess their condition, extent, friability, accessibility and their potential to release airborne asbestos fibres. A refurbishment or demolition asbestos survey is required prior to refurbishment or demolition of the building or area of the building for the purpose of identifying as far as reasonably practicable, all ACMs in the area where the refurbishment work will take place or in the whole building if demolition is planned.This asbestos survey is intrusive and involves destructive inspection to gain access to all areas, including those that may be difficult to reach. For this purpose the survey can only be undertaken when the building is unoccupied. 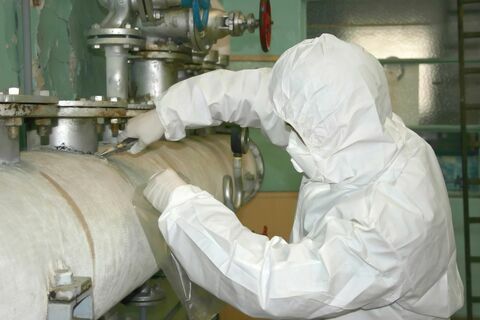 The asbestos surveys usually involve sampling and analysis of samples by NATA accredited laboratory to confirm the presence or absence of ACMs. However, it can also involve just presuming/assuming the presence or absence of asbestos without sampling or a combination of sampling ACMs and presuming ACMs. The refurbishment or demolition surveys usually involve minor intrusive work and some disturbance. Collection of samples of suspected asbestos material (where accessible and safe to do) and samples submission for analysis by NATA accredited laboratory. Where no samples are able to be collected any suspected ACM will be assumed. Make recommendations for the ongoing management/removal of ACM. Where required by the client we extend the scope of the survey and assessment to cover some or all hazardous building materials including lead based paint and lead dust in ceiling and on surfaces, synthetic mineral fibre (SMF), Polychlorinated Biphenyls (PCBs) in Capacitors and ozone depleting substances.